The name Roman Horoszewski might not ring a bell for many American rowers or coaches. 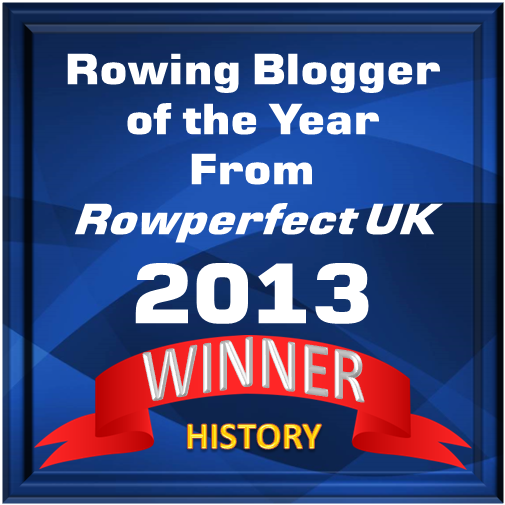 Truth be told, it is not as a rowing coach at The Peddle School in Hightstown, New Jersey, that Roman is best known in the U.S. rowing community as a whole. 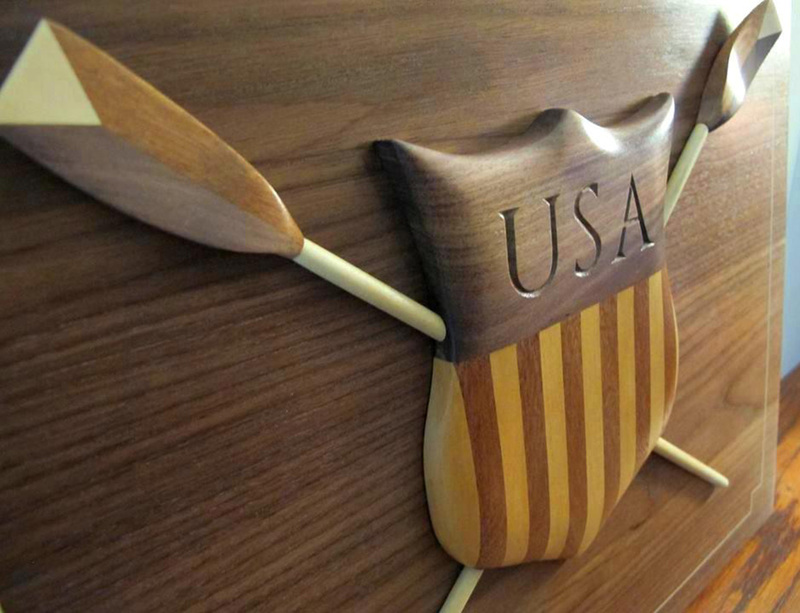 However, if you attended the USRowing’s 2015 Golden Oars event in November, then you at least have seen some of Roman’s work, wooden art work, to be more precise. 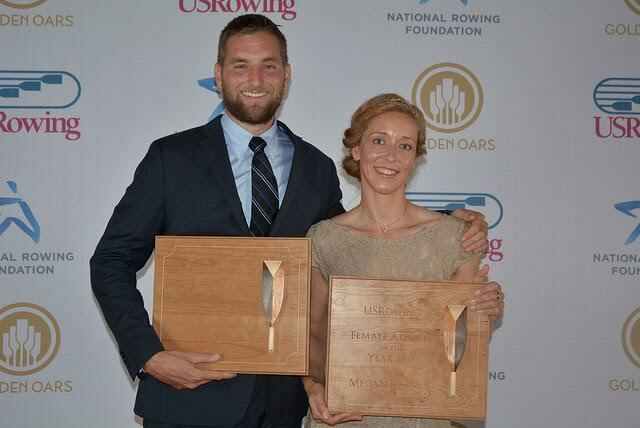 As a wood carver, he was asked by USRowing to create the 2015 Male and Female Athlete of the Year awards, which went to Seth Weil and Megan Kalmoe respectively. At the USRowing’s 2015 Golden Oars event in November, Seth Weil and Megan Kalmoe were named the 2015 Male and Female Athletes of the Year. Their awards were made by wood carver Roman Horoszewski. Photo courtesy of USRowing. Roman, who graduated from college in the late 1980s, is in real estate development as a career, “but I do wood carving as a side gig,” he told HTBS. Located in West Windsor, New Jersey, he is not far away from where some of the rowing action takes place, as one of USRowing’s training centres is at the Princeton National Rowing Association (PNRA) in Princeton. 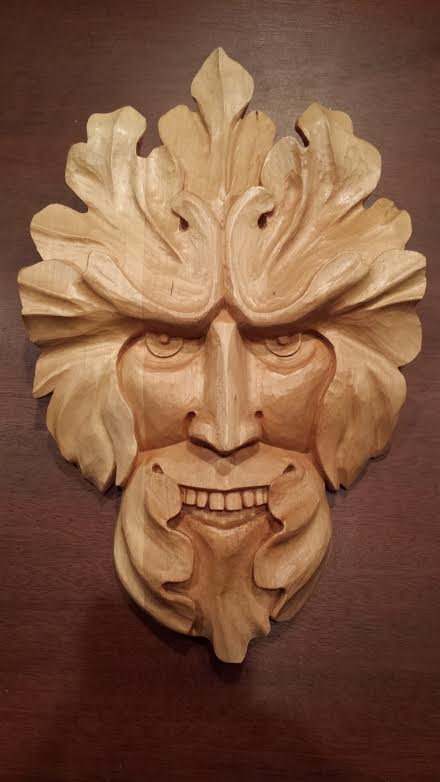 He began wood carving in 2012 and he quickly started doing rowing pieces, and by now Roman has carved approximately 20 rowing related pieces. “My work is often multicolored using only the natural color of various woods; I use no paint, stain or dye. Rowing has a rich history of utilizing wood for shells, oars and boathouses, so in our modern era of carbon fiber and concrete and steel, my work harkens back to an earlier time in our sport,” Roman remarked. How long will it take to do a carving? He is usually able to deliver within 6 weeks of receiving his client’s deposit, which is 50 per cent. 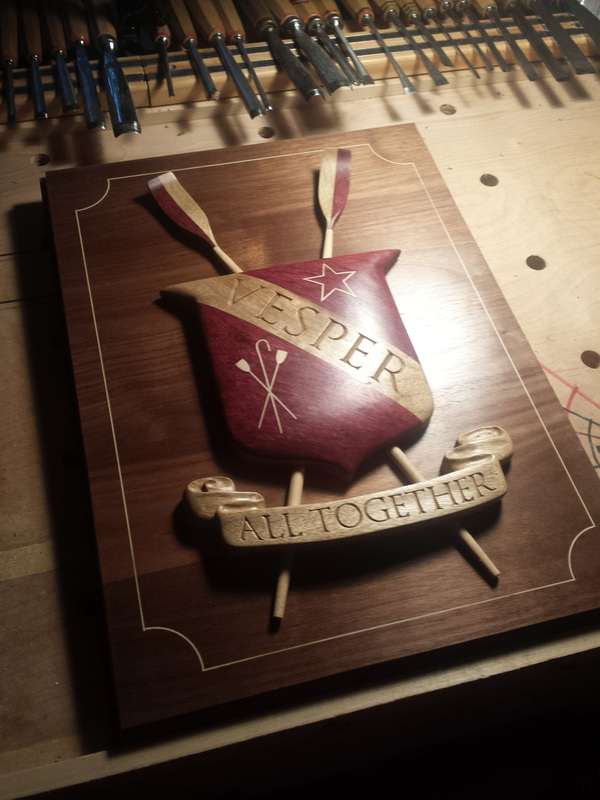 A crest for a well-known boat club in Philadelphia. 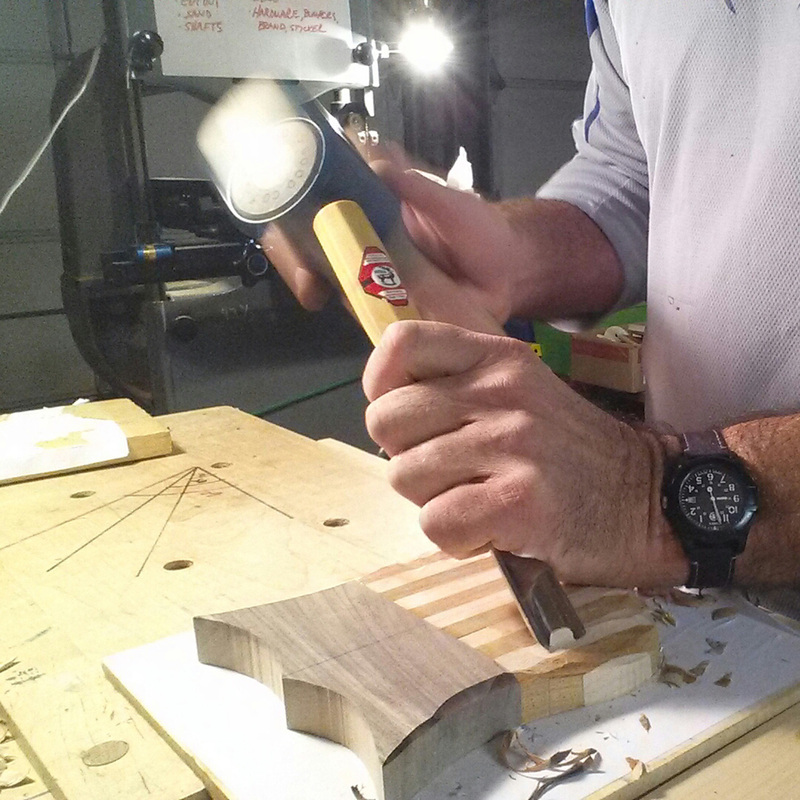 Roman is also carving pieces that have nothing to do with rowing. © All photographs Roman Horoszewski, except the one of Seth Weil and Megan Kalmoe, which is © USRowing.